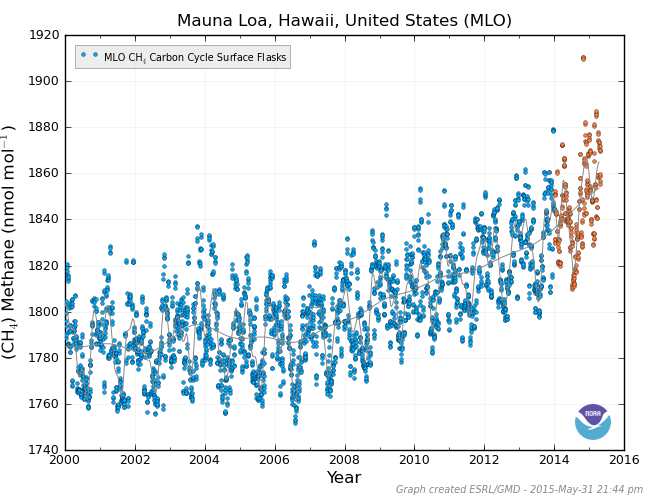 Atmospheric methane levels as measured by the Mauna Loa Observatory (MLO) showed a continued steepening rate of increase through late 2014 — featuring one rather troubling spike late last month. 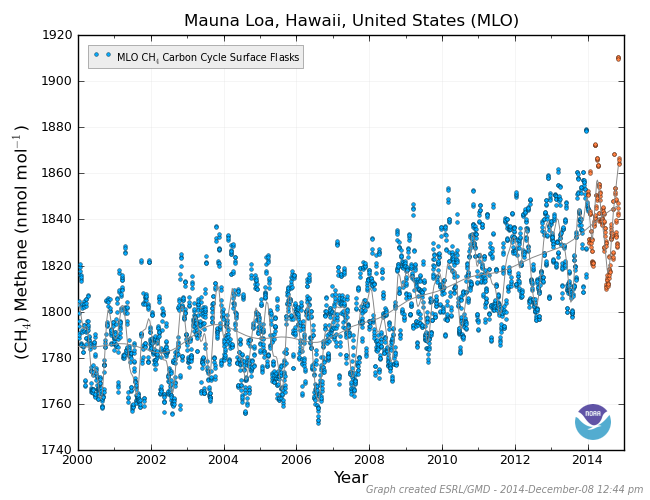 The measure, which has been recording atmospheric methane levels since the middle of the 20th Century, continued to ramp higher with readings hitting an average of 1850 parts per billion by late November. Notably, this increase is at a faster pace than yearly averages for all of the last decade. In addition, a single spike to 1910 parts per billion took place last month. This large departure of 60 parts per billion above the average was somewhat unusual for the Mauna Loa measure. The collection site is rather far from human or Arctic emissions sources which makes it less likely to feature anomalous spikes due to local influences. This particular spike also represents the largest single departure from the base line measure since 1984 (when the ESRL record begins). 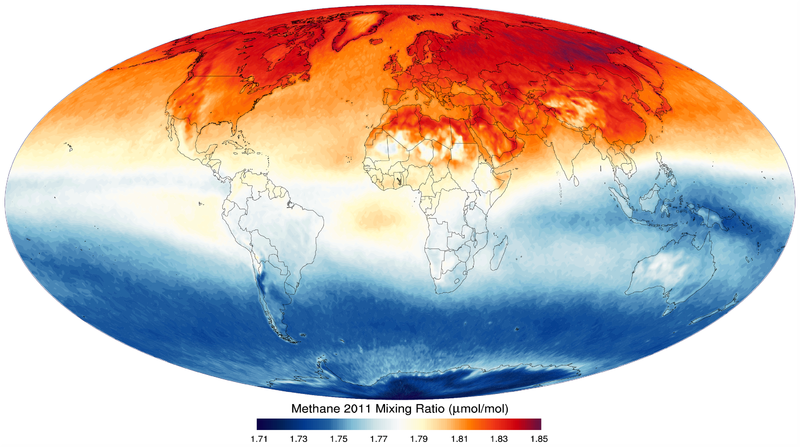 Overall drivers of the more recent increase in global methane levels beginning around 2007 come from an increase in human emissions (likely due to rising rates of fossil fuel exploitation — primarily through hydrofracking and coal mining) as well as what appears to also be an increase in Arctic emissions. Large methane sources in Siberia, over the East Siberian Arctic Shelf, in the Laptev Sea, the Nares Strait, and west of Svalbard have been observed in both satellite monitors and through observations taken by scientists and researchers on the ground. Overall, a significant overburden of greenhouse gasses centers on the Arctic and appears to be enhanced by local carbon (methane and CO2) sources in the region. 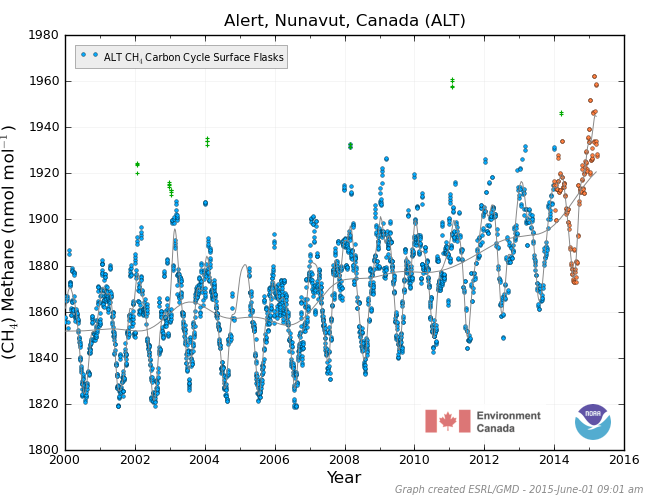 More comprehensive measurements of methane releases over Alaska (according to NASA JPL), on the other hand, have not yet shown methane release departures above the global norm for land areas. 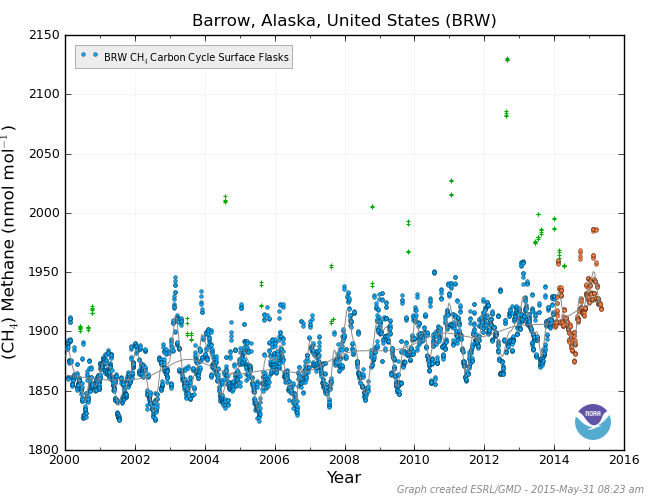 But the observational record for Alaska composes just one year (2012), so there is no way to yet determine if permafrost carbon and methane releases from the tundra in that region increased to achieve their current rates. It is worth noting generally that the terrestrial zone for Alaska and its off shore region are not, as yet, major carbon release hot spots. Methane (CH4) is an important greenhouse gas due to the fact that its global warming potential (GWP) over short periods is much higher when compared to a similar volume of CO2 (most measures consider the GWP of methane to be 20 times that of a similar volume of CO2). 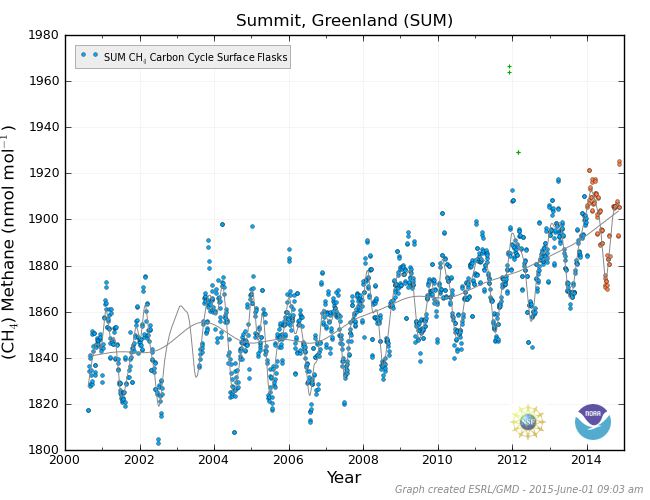 That said, methane’s residence time in the atmosphere is much shorter than CO2 and CO2 volumes are much larger. So CO2 is considered to be a more important gas when it comes to long term climate change. Nonetheless, CH4 increases since the start of the industrial revolution put it as the #2 gas now forcing the world to warm. Very large outbursts of CH4 from the global carbon store (including terrestrial and ocean stores) during the Permian and PETM are hypothesized to have set off very rapid increases in global temperature. For some prominent researchers, this potential hazard is seen to be very low under current warming conditions. Others, however, seem very concerned that a rapid methane outburst under the very fast rate of human warming could be a tipping point we are fast approaching. It is important to note that the current profile of atmospheric methane increase does not yet look like one of catastrophic release. Instead, what we see is an overall ramping up of atmospheric levels. 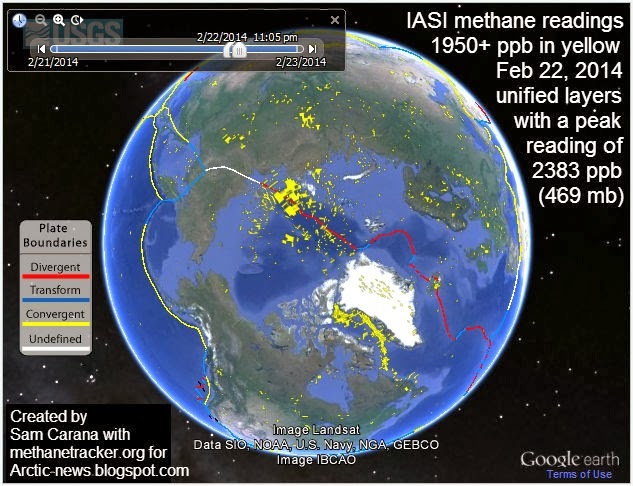 The issue of catastrophic release potential — raised by Peter Wadhams, the Arctic Methane Emergency Group, and Dr. Simeletov and Shakhova among others — is not one that is certain or settled in the science. As an example, Dr. Shakhova identifies a substantial but non-catastrophic 17 megaton atmospheric release from the East Siberian Arctic Shelf (equal to about 8 percent of the human emission and a substantial increase from a previous estimate of 8 megatons per year in 2010) as currently ongoing. However, both Simeletov and Shakhova have been the object of criticism due to their identification of a risk of a 3.5 gigaton per year methane release should all the East Siberian Arctic Shelf methane hot spots become active. 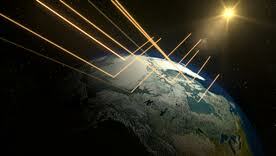 Such a release would, in one year, nearly double the amount of all methane currently in the atmosphere (5 gigatons). 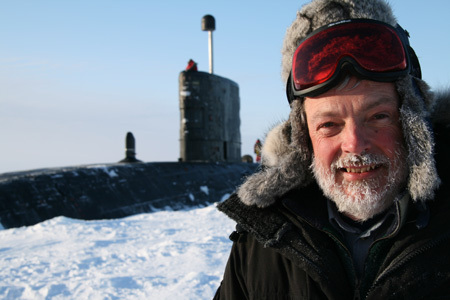 Dr. Peter Wadhams, another Arctic expert, has also received criticism for his assessment that a 50 gigaton release from the large subsea Arctic methane stores could be possible as sea ice retreat spurs Arctic Ocean sea floors to warm. Other scientists such as GISS lead Gavin Schmidt and prominent Earth Systems modeler David Archer have noted that such very large releases aren’t currently likely. They point to natural traps that tend to tamp down sea based release rates (sometimes stopping as much as 90 percent of a destabilized methane source from hitting the atmosphere). They also note that current warming has probably not yet exceeded levels seen during the Eemian (130,000 years ago) and no large methane releases were observed at that time from Arctic carbon stores like the ESAS. They tend to take the view that any increasing rate of release coming from Arctic methane stores in particular and Arctic carbon stores in general will be very slow — so slow as to not be a significant amplifier of human warming (less than 5 percent) this century. In general, between these two rather extreme and increasingly polarized views on Arctic methane, there appears to be very little in the way of middle ground. Although, a loosely related survey of permafrost carbon experts found a consensus opinion that the total carbon emission (including CO2 and methane) from land based tundra alone would equal between 10 and 35 percent of the current annual human emission by the end of this Century. It’s worth noting that this survey assessment does not include potential releases from the submerged permafrost in the ESAS or releases from other global carbon stores as a result of human warming. The current rapid pace of human-caused warming — heating some regions of the Arctic as fast as 0.5 to 1 C per decade — also caused some of Archer and Schmidt’s scientific forebears, particularly James Hansen, to be rather less dismissive of the potential for a significant release from global methane stores, especially those in the Arctic. In any case, current human greenhouse gas emissions of nearly 50 gigatons CO2e each year are now in the process of pushing global temperatures past Eemian thresholds. An excession likely to elevate Anthropocene temperatures beyond all Eemian estimates before the mid 2030s under current rates of global greenhouse gas emissions and expected increases in fossil fuel burning. So it is in this murky scientific context that we must interpret risks involving a continuing and apparently ramping rate of atmospheric methane increase. 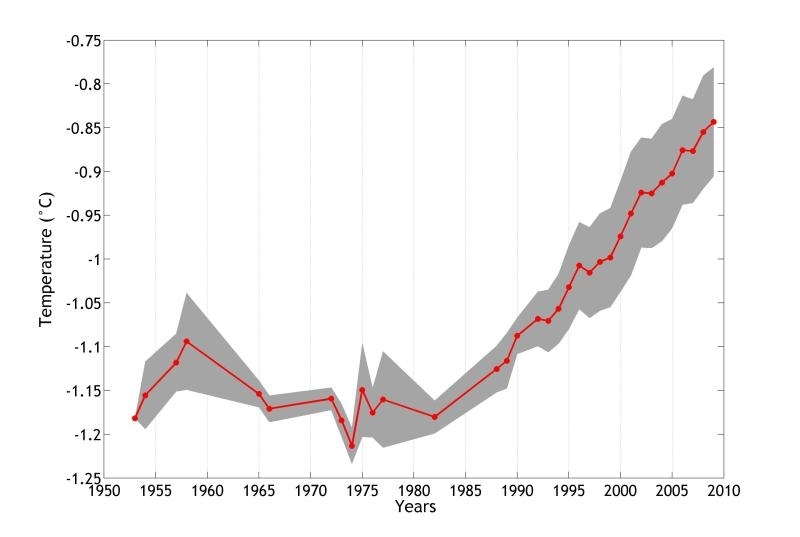 And what we can say with certainty is that there is little evidence that we are now hitting an exponential rise in global atmospheric methane levels. But that there is some evidence that a risk for such an event is real and requires much more detailed research and public dissemination of information to put what are some very valid concerns to rest. According to reports from BBC, Climate Progress, and The Arctic Ice Blog, sea ice scientist Professor Peter Wadhams of Cambridge University recently made a pivotal announcement on the state of Arctic sea ice. In an interview to the BBC, Wadhams noted that Arctic sea ice was ‘headed for oblivion’ within ten years and that the added heat absorbed by the darker Arctic Ocean was like adding ’20 years of CO2′ emissions. Wadhams has been studying sea ice for decades. His research has provided pivotal insight to the Arctic environment. Back in 1996, Wadhams compiled observations from vessels, including navy submarines, operating in the Arctic to determine that sea ice volume had fallen by 40% by 1996. Today, sea ice volume has fallen 78% percent from volume observations in 1979. Wadhams, a Cambridge University expert, adds his voice to a growing number of scientists and researchers pointing toward an ice free Arctic sea within the next ten years. His detailed assertion about the added warming affect, however, is new. A roughly .3-.7 watt per meter squared of additional forcing over the entire surface of the globe is a lot of new heat to add to an already stressed climate system. 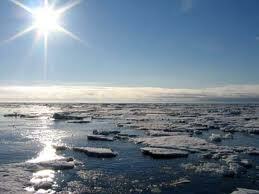 But most of this heat is focusing in on the fragile and sensitive Arctic. 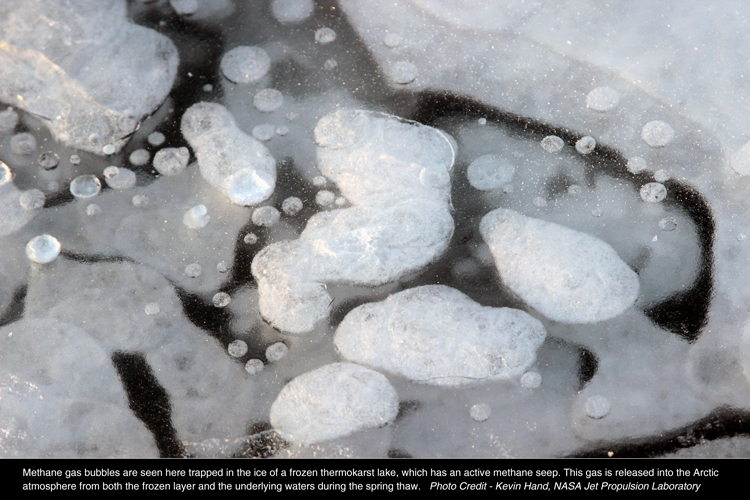 It has been known for years that loss of reflective sea ice would add a certain degree of forcing to global climate. Now, in addition to an ever-increasing volume of CO2 absorbing more and more heat, we have lost one of our heat deflector shields. The Arctic sea ice is simply turning from white to dark blue. And this results in more heat being caught by the sun. Throughout the Arctic summer, the sun never sets. Instead, it beams light down 24 hours a day. This light now has a growing dark surface to capture it, turning it into more heat energy. According to Wadhams, this extra forcing is equal to another 20 years of human carbon emissions. But the concerning thing about the Arctic is that so many feedbacks are set in place to enhance warming, should a net warming occur. 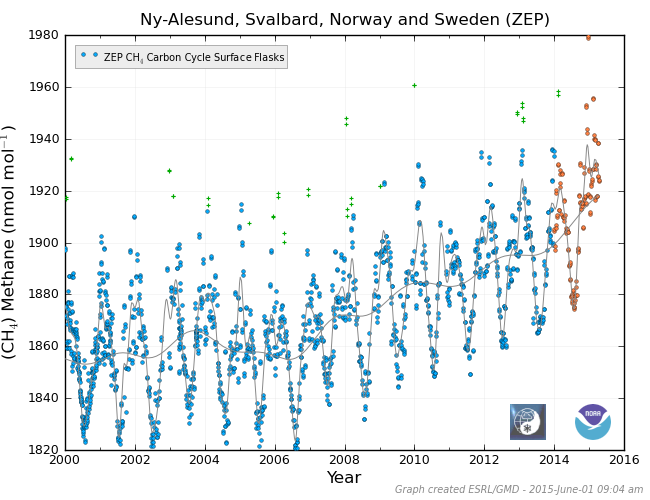 Wadhams has illustrated the impact of sea ice loss. But the other feedbacks include loss of reflective snow cover, loss of reflective land ice in Greenland (already losing its reflectivity), and the heat-triggered release of carbon bound up in soil, tundra, and the Arctic sea bed. Tipping all these feedbacks together would be like striking a match. 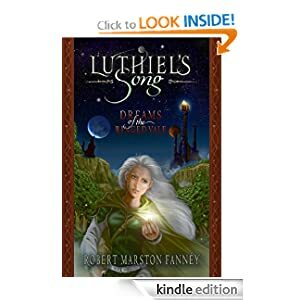 They would dramatically amplify the effects of human-caused global warming, perhaps doubling it. Wadhams scientific validation of the problem of sea ice reflectivity loss is a critical step in understanding how a warming Arctic can make the problem of human caused warming much worse. But what is needed, is a comprehensive study of all Arctic feedbacks and their potential additions to global warming over the coming decades. A similar study of the Antarctic is probably needed as well. That said, given the wealth of evidence already collected, it is becoming increasingly clear that amplifying feedbacks is a growing problem in the Arctic. That pushing the Arctic too far is already amplifying the force of human global warming. For more information on the risks of amplifying feedbacks in the Arctic, take a look at this article.